Sideburns are a strip of hair that extends down the cheek in front of the ear. They can be conservatively cut so that they extend only about halfway down the ear or they can be quite long and full. Many men wear their sideburns as a part of their overall hairstyle. Most hairstyles look better with at least some sideburns. It is, however, important to know how to trim your sideburns. Trimming sideburns is made easy by the use of electric or battery powered clippers. Some come with a comb that can be attached to the blade to control the length of the hair. A razor can be used to define the bottom and sides of the sideburns. It is best not to trim the sideburns to a height above the top of the ears. Almost all hairstyles look better with at least some sideburns. It is important to trim the sideburns to a point that makes them even with one another without regard to the ears. This is because the ears are never perfectly aligned from side to side. Combing the hair down, trim the sideburns to the desired length. Next, comb the hair forward so that they point toward the face. Using a razor, trim any hair that extend beyond the line determined to be the border for the sideburns. 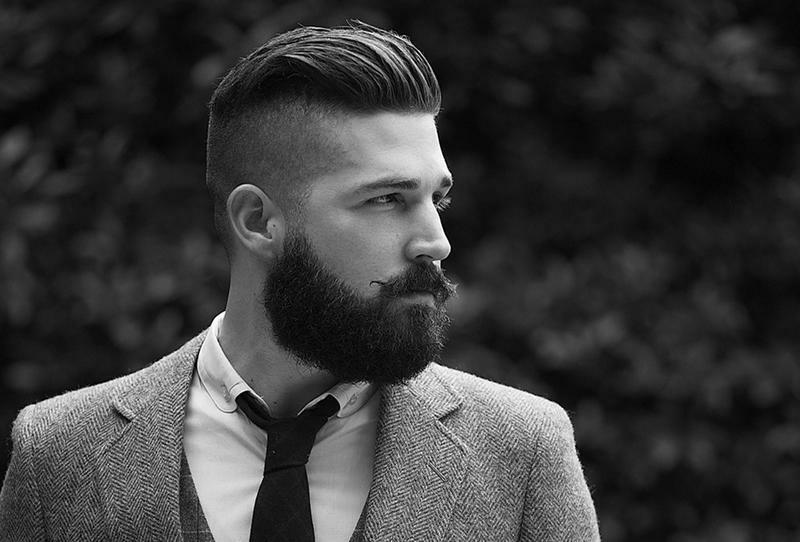 After the sideburns are fully established, the rest of the face can be shaved to provide a fully groomed appearance. Sideburns can be worn in many different ways and with many different hairstyles. Sometimes, they can be short and conservative. Other times they can be thick, long, and bushy. Virtually all men’s hairstyles look better with some sort of sideburns. However, it is important to know how to trim your sideburns if you want to keep a perfectly groomed appearance.